The tradition of New Year’s Eve celebrations can be dated back to the Romans. And, as we anticipate what’s to come, there is no better way to acknowledge the achievements of our past year than with a blow-out bash. Millionaire Concierge has your ticket to any New Year’s party in the world. Let us make sure that the only resolution you’ll be making is to carry the great time you had on New Year’s Eve into the rest of your year. New Year’s Eve carries various traditions throughout the globe from the ball drop in Time’s Square to the lighting of the Eiffel Tower, but one thing is consistent, it is a time to reflect and unwind. Imagine yourself in your ideal setting and let us do the rest. Millionaire’s Concierge is here to help you bring in the new year in style. Not only can we get you there, we can also provide VIP access, luxury transportation, opulent accommodations, a five-star dining experience and anything your heart may desire. What more can we say? Usher in the New Year like the stars do. Call us today. What do you mean by “sky is the limit” service? Whatever it is you may desire can be done within reason. If the service or location available we will do all we can to get it for you. When are New Year’s Eve parties held? 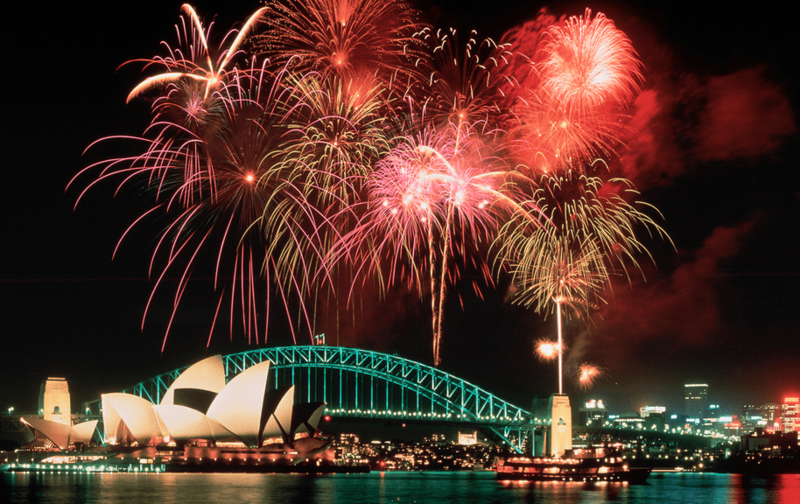 New Year’s Eve celebrations are scheduled for December 31st annually.